The Superman that we all remember was portrayed by the late and great Christopher Reeve. 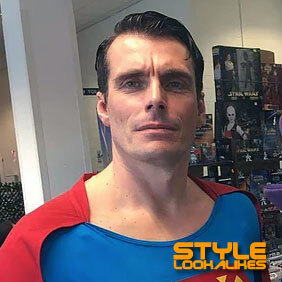 This lookalike of Superman is uncanny in every way. Standing at 6ft 4in., with blue eyes and complete with authentic outfit, made to the original film specification.